In most cases, your typical air conditioning installation job doesn’t take more than a day. But that doesn’t mean an AC is plugged into your home without a second thought behind it. There are several factors that go into installation, all with the purpose of ensuring that you have the right size and type of unit for your home. 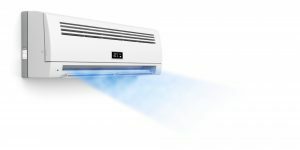 A sloppy air conditioning installation in Whittier, CA will seriously hamper the efficiency of your unit and could cost you more than you expected to pay. Load calculations are as technical as it gets. HVAC contractors use these formulas to understand how much power is required to cool your home, but it’s not as simple as converting a couple numbers. Factors can include your region, the amount of sun exposure your home receives, the type of insulation used in your home, the number of windows, and how well your home is sealed. Doing the proper calculations is essential. If your unit ends up being too small, it means that the AC will run almost constantly to try and cool your home. In most cases, contractors overestimate the size and end up installing a unit that’s too big. If it is oversized, it will cool your home too quickly, causing it to turn on and off far too frequently. Aside from affecting load calculations, climate can also play a role in the type of cooling products you’ll install. High Humidity: Central and heat pump air conditioners can both lower humidity through their normal function, but high humidity will require an actual dehumidifier to be installed in the system. Dry Air: On the other end of the humidity spectrum, too low of a humidity can also be uncomfortable, and a normal AC doesn’t always help. In these cases, you might consider installing an evaporative cooler. These AC units bring humidity into your home while they cool it. Extreme Cold: Temperatures near freezing and below will reduce the efficiency of heat pump air conditioners. Luckily, in more moderate climates, this won’t be so much of an issue. Is there a duct system already installed in your home? This is a huge factor in determining the kind of air conditioner you choose to install. If you do have ducts, it most likely means that you already have a heating system, such as a furnace. In this case, your best choice is installing a central AC system since it will use the same set of ducts. This will make the installation much quicker and easier. If you don’t have ducts, you can still get them. However, you might consider installing a ductless mini-split instead. Although their upfront costs can be intimidating, these systems are highly efficient in the long run. In fact, not requiring ducts is their biggest strength. Units are installed in each room individually, and they’re equipped with their own thermostat and controls, meaning you have complete control over energy usage. For every unoccupied room, you can either choose not to install at all or to run the system only when you want to. Contact Greenleaf Heating & Cooling, a professional in the art of AC installation. You’re just a call away from the best heating and cooling experts in Southern California.